Wuxi Classic started today! It is the first televised event in the new season; I know snooker fans cannot wait to watch! :) Because it is an invitational event, it starts from Last 16 to play! Stephen Maquire? OF COURSE NOT!! 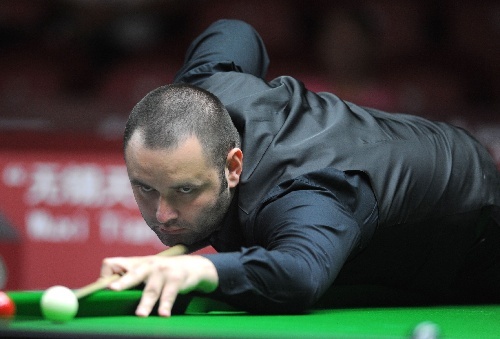 STEPHEN MAGUIRE!! Looks like the wrong spelling of Maguire's surname affected Maguire's performance today! 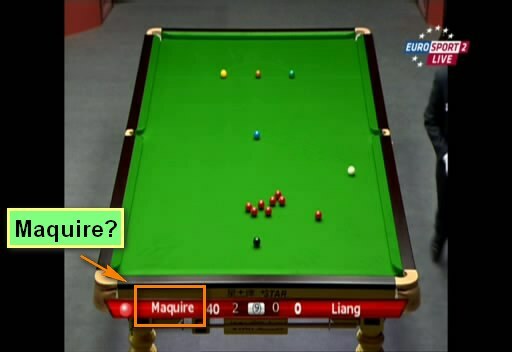 Highest break of Maguire was 48 in the match. The two players did not play there standard before the mid-session, especially Liang Wenbo had missed some easy shots. Liang did not win a frame and 0-4 behind to enter mid-session. Liang Wenbo found his form in the very important 5th frame. He hits a 60, 26 to trail 1-4 and so as the sixth frame. Maguire struggled and looked too relaxed after he led 4-0, his advantage was reduced to 2 frames only. The seventh frame was the most exciting frame in today's match. Some high quality safeties were displayed. Liang tried to make a snooker but he fluked a final yellow and snookered at the same time. The match ended when Liang missed. Maguire won the match by 5-2, his opponent in QF will be Ding Junhui. Former World Champion Graeme successfully came through to QF. He defeated China's Cao Yupeng with 5-2 despite losing the first frame, along with a break of 68. Cao had chances to hold a lead but he didn't take them well. Dott will face Mark Selby tomorrow for a SF spot on Saturday. China's Yu Delu shocked us today. This young man beaten Matthew Stevens in the decider though Stevens forced to a decider from 2-4 down. Stevens found his way in the seventh frame to hit 96, 72 in the two frames. But the eventual winner was Yu Delu. 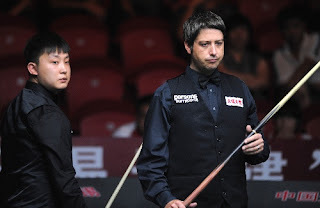 Yu needs to fight a battle against Ali Carter tomorrow in QF. Another World Champion Peter Ebdon completed a 5-3 victory over Rouzi Maimaiti with two centuires, 113 and 107. Ebdon now plays Shaun Murphy, the defending champion of the tournament. Day 2 of tournament continues tomorrow on Eurosport.